PURE EXCITEMENT. PURE PRESSURE. PURE DARTS. Featuring the PDC pros: Phil Taylor, Ramond von Barneveld, Peter Manley, Wayne Mardle, Adrian Lewis, Dennis Priestley, Alan Warriner-Little, John Part, Colin Lloyd, Mark Dudbridge, Roland Scholten, Ronnie Baxter, Andy Jenkins, Kevin Painter, Andy Hamilton, Terry Jenkins. 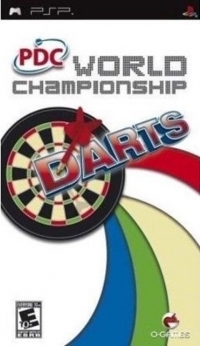 This is a list of VGCollect users who have PDC World Championship Darts in their Collection. This is a list of VGCollect users who have PDC World Championship Darts in their Sell List. This is a list of VGCollect users who have PDC World Championship Darts in their Wish List.